Matrix MLS provided by REcolorado for all members.​Your MLS listings are sent to Zillow, Trulia and List Hub. Only ROCC members receive this benefit from REcolorado. You will be listed on the public facing ROCC website for online Realtor searches. CE classes and support to meet your licensing requirements. You will receive up to date information as to all Professional Development classes and will have the first opportunity to register for ROCC classes and events. Access to the Supra key and lockbox system, which is set up with an automatic cooperative relationship with the Royal Gorge and Pueblo Associations of Realtors. This optional service is only a cost to members who choose to use it. Management of your records and support with NAR and CAR. As a smaller association, ROCC gets to know our members as more than a NRDS number. Management of your professional standards and ethics records. Special focus on the needs and requirements of rural and small firms. 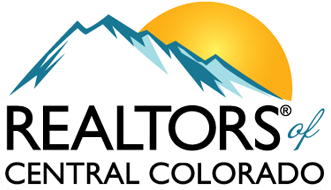 Local MLS property tours every other week in Salida and Buena Vista for ROCC Realtor members. Interaction with governmental and regulatory agencies on your behalf. Member consultation on issues such as education, real estate career, conflicts, etc. Management of all aspects of MLS and inter-relationship with providers and vendors. As a ROCC member, you have opportunities to serve on local ROCC committees, workgroups, task forces, and the ROCC board of directors (if elected). This gives you a vital voice in how your local association serves its members and the community. Affiliates are listed in the Affiliate search list on our public facing website. When we recieve inquiries from the public about affiliate services (lenders, appraisers, home inspectors, etc. ), we direct them to our website and the affiliate search function. Affiliates can receive (upon request) a list of membership email addresses as frequently as quarterly (provided the affiliate member complies with spam related rules and requests from members to be removed from the affiliate member’s emails. Appraiser and Home Inspector affiliate members can subscribe to the ROCC Supra lockbox system. When affiliates set up events, classes, etc. for ROCC members benefit, ROCC will add the event to its Website and Facebook pages. ROCC appoints one affiliate member annually to its board of directors in an advisory role. Affiliate members have opportunities to sponsor ROCC classes and other events. This gives the affiliate member access to gatherings of Realtors® to discuss the affiliates services to “captive audience”. Affiliate members receive ROCC News and Event emails. This keeps the affiliate member informed of the issues that the Realtors® are dealing with. This gives the affiliate member opportunities to remind members of their services, and/or to develop products and services to meet new needs.